I made this holder as a 5.5"x5.5" size and cut the clear envelope to fit. I ran the large tear away die through both the cardstock and the clear plastic. Using my fuse tool, I fused all but one side so I could add in the gift card and sequins. Then I fused closed that end and ran my Dot-tastic die to make the front design, finishing it with the Stitching Marks die. The image is from the Stacked with Fun set was stamped and colored in with Copics before cutting it out with the coordinating dies and popping it up on the front. 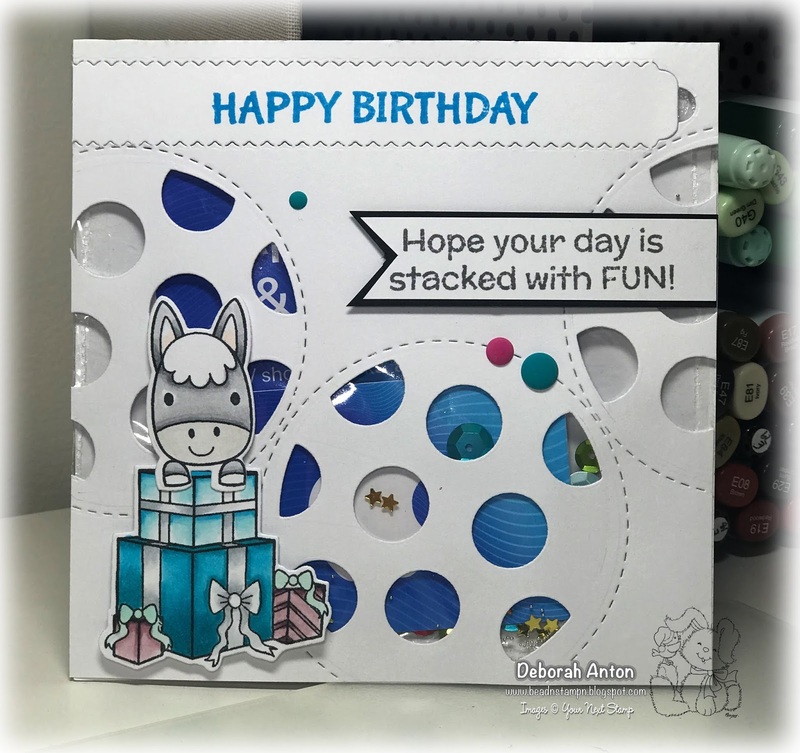 The sentiments were stamped directly onto the cardstock and completed with some fun Peacock gumdrops. I lined up the cardstock and plastic together and adhered it together. Then that piece was adhered to another piece of matching cardstock giving an area to write your own message. Now the recipient can tear open their card to get the gift! Be sure to stop over at the YNS Blog to see the other fab creations the DT put together. Thanks for stopping by and taking a peek! Have a great weekend!